How to Manage Social Media for Your Business - A Digital Marketing Agency | IIAS - International Internet Advertising Services Inc.
Social networking is one of the most cost-efficient marketing and public relations tool in the Internet today. I strongly recommend getting your business into these social networking networks so it can be a part of a network not just of possible customers but also potential suppliers, partners, or financiers. Engaging in social media, however, can waste a lot of time and energy, and can be more of a distraction than a beneficial endeavor. Here I have some tips on how to manage social media for your business. While online marketing is often seen as an alternative to traditional marketing, it is important to remember that at its core is still the traditional principles of marketing, just done with different tools. Keeping that in mind, no social media marketing campaign can be successful without a proper plan. Knowing your basic goals and your target market, as well as preparing schedules and prior market research will also help you create aligned social marketing campaigns. 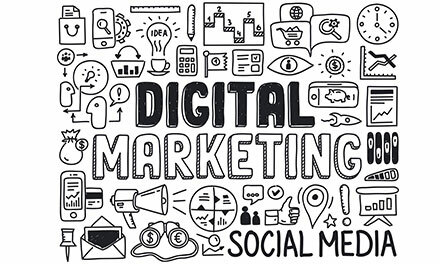 If your company is simultaneously running offline marketing, then it is best to understand what the place of your social media marketing is in the whole campaign. It is one of the basic ideas in public relations: messages from a brand or company must be unified. This principle holds true for social media marketing as well. The marketing campaign should be consistent across all the company’s social media accounts as well as other kinds of marketing, all reinforcing the same message to the consumers in whatever social media account they are using. Aside from the message, the tone and style must also be uniform to create a seamless feel for the audience. Maintaining accounts in various social media sites can be very time-consuming if each is updated separately. Fortunately, you don’t need to do this. Instead, link all social media accounts to each other so that updating one means updating all accounts. Take advantage of the tools that are already embedded in each of these social media accounts to make the job easier. Doing social media marketing does not only mean getting as many fans or followers as possible, but also establishing contacts with influential people and thought leaders in the field of the company’s work. In my experience, the best ways to make these contacts is to post contents that are of mutual interest to the company and to the intended thought leaders, creating conversations with them. Ultimately, making these new contacts will allow you to leverage their online influence for your online marketing efforts. Social media networking can be a very time-consuming activity because there are so many distractions. To avoid this when managing your business’ social media account, it is best to schedule you social media time. Twice a day to post contents and engage in conversation with your network is already sufficient. Some social sites also offer a tool which can allow you to upload content and schedule its publication for a latter time. This is useful when there are contents that must be posted during non-working days or for when you will be away from the Internet for long. When uploading content, I also recommend having a regular schedule so that your followers can expect your posts. In my experience, the best time for posting content is during the morning, during lunchtime, and late in the afternoon, during which most people go online and check their social media accounts.